Last week I introduced the Visionary Fiction web-ring. 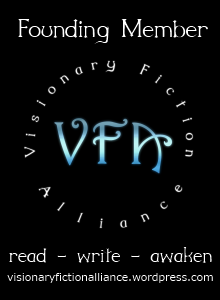 This week, our three founding members – Jodine Turner, Shannan Sinclair and myself – are guest posting at each other’s blogs about the place of Visionary Fiction in Today’s World. You can find my entry at Jodine’s blog here, and Jodine’s entry at Shannan’s blog here. Shannan’s entry will appear at this blog soon. Recently I wrote a post about the difficulty I was having with defining the genre of Systems. Though I found the elusive ‘metaphysics’ category at Amazon (and no, I haven’t got round to re-classifying Systems there yet), I still felt that it would be good if the novel could be classified in a way that didn’t make it sound like it belonged to a tiny or specialist niche (or conversely placed it in too broad a category such as sci-fi). Since then I’ve met Jodine Turner and Shannan Sinclair at a Goodreads group dedicated to visionary fiction. We’ve all agreed that since our type of fiction needs a brand awareness campaign, we’re going to make an attempt to do just that ourselves. And so, we’ve started a web-ring for visionary fiction (see the new menu on the right-hand side of this page containing links to Jodine and Shannan’s sites) and we’re brainstorming some other ideas at the moment. 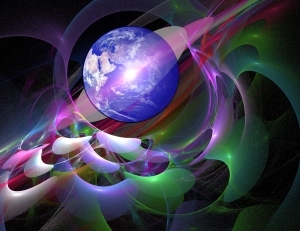 I’ve also created a new category at this blog especially for Visionary fiction. So, what is visionary fiction? In one way it could be described as similar to inspirational fiction; it’s often inspired by a search for a higher truth, but it isn’t always about or aimed at readers of a particular faith. It can be metaphysical, or esoteric, or spiritual in tone. It often involves the paranormal. Of course this means that visionary fiction is most likely to also fall under fantasy, as does Jodine’s Carry on the Flame series. But this is not always the case. Systems (as sci-fi) is a case in point. 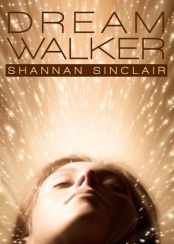 So is Shannan’s Dream Walker, which she describes as ‘Quantum fiction’ because it explores quantum and string theories. But what all visionary fiction has in common is that it takes its inspiration from that fascinating creature called humanity and explores its limitless potential. A pioneer of the term ‘visionary’, Michael Gurian, describes it as “fiction in which the expansion of the human mind drives the plot“. Interested in knowing more? Watch this space for updates. Soon Jodine and Shannan will be dropping in to give us their insights on visionary fiction and its relevance in today’s world. If you have written a novel and think it might fit into what I’ve described here, say hello here or at Goodreads. We’re looking for more authors to join this ring. What genre is your novel? I wasn’t planning to post anything at all this week after having posted five entries last week – but this one’s been on my mind since even before I published Systems. How do you classify a novel that for some reason or other can’t fit into one specific – and known – category? And in my case, that was about it. There are scores of categories on Amazon, and almost 20 of them are under ‘Literature & Fiction’ but only these come close. (Actually, I had a similar problem with SJ2. But it was still easier than Systems). I didn’t want to pick Literary because my fiction is really styled more commercially. 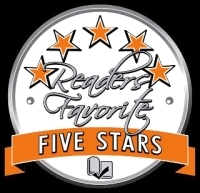 Mystery, Thriller & Suspense was reasonably accurate, but the sci-fi element is louder. And as for Religion and Spirituality … that, I felt, gave off the wrong vibe. I prefer the unofficial genre ‘Visionary’ or ‘Metaphysical’, maybe even ‘Philosophical’, but these options just weren’t there. And ‘Speculative’ (again, not there) … isn’t that another way of saying ‘science fiction’? So, for now I’ve stuck with classifying it as science fiction, albeit reluctantly. At various sites – depending on whom I’m addressing – I’ve also referred to it as ‘Islamic science fiction’ – though that’s a technicality and in reality the fiction is neither overtly religious nor does it aim at a specific faith, even if it is inspired by the Islamic worldview in philosophical terms. But, there is an upside to this conundrum. I’m beginning to run into other authors who are calling for a genre to include ‘visionary’ elements without lumping them under either science fiction or fantasy. So, at least I’m finding some new fiction to read. Have you self-published a novel? How did you decide what category it best fits into ? Update: Five minutes after posting this, I found the Metaphysical category on Amazon, as a subsection of ‘Genre Fiction’. Go figure. Michelle Frost on Are Fairy Tales Turning Visionary? All content copyright Saleena Karim 2012-14 unless stated otherwise.